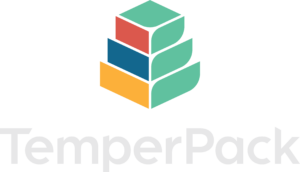 Closed Loop Partners, a fund that invests in sustainable consumer goods, advanced recycling technologies and the development of the circular economy, invested $4.5 million in TemperPack to expand its ClimaCell™️ manufacturing operation to the company’s west coast facility in Las Vegas, Nevada. The latest funding initiative comes after the successful launch of TemperPack’s first production line of ClimaCell in their Richmond-based facility. ClimaCell is TemperPack’s certified curbside recyclable insulation product used for perishable shipments in the food and pharmaceuticals industries. “When we were initially developing this new type of insulation, we looked at a range of recyclable materials, and ultimately landed on a paper-based design due to its high recyclability rate compared to plastic,” commented Michael Scipione, TemperPack’s Director of Research & Development. “Insulation performance is paramount in the cold chain industry, so we engineered ClimaCell to perform on par with EPS on an inch per inch basis,” he added. ClimaCell provides a significant reduction in GHG emissions (est. 10x) over EPS used in insulated shipping today and the expansion of this manufacturing to TemperPack’s Las Vegas location will help reduce contamination at Material Recovery Facilities (MRFs). “From our MRF testing, we’ve seen that TemperPack’s ClimaCell packaging can greatly reduce the burden of Styrofoam ending up in the recycling streams,” stated Bob Milligan, VP of Operations Due Diligence at Closed Loop Fund. Currently, most of the insulated packaging on the market claims some level of recyclability but fails to pass the MRF sorting tests and ultimately ends up in a landfill. “The [ClimaCell] packaging has proven to make it through the OCC lines at MRFs,” he added.